It was a couple of summers ago now when I made my way to Barbes in Brooklyn to hear a new group with guitarist Mary Halvorson called Reverse Blue. The name, she said, was inspired by her father who seemed to be toying with the possibilities of the word blue in song titles. It was a great show and I came away thinking two things: this was compositionally different than Mary's other work and that I'd love to have an album of it. A few years later and we have Reverse Blue's first recording on Relative Pitch. The group is a who's who of forward thinking musicians: guitarist Halvorson, woodwind player Chris Speed, bassist Eivind Opsvik and percussionist Tomas Fujiwara, and all musicians frequently featured on this blog. The composition credits are half to Halvorson, then distributed among the other members, but the overall approach to the music is very much identifiable as a group. Musically, it's engaging, nimble and exciting. Tandem melodies and counter melodies pass quickly between Halvorson and Speed and strong rhythmic grounding from Opsvik and Fujiwara give them the room to maneuver. The opening "Torturers Delight" starts off as an intricate dance between a baroque 8th note melody against and elongated tones from Speed, buts builds up to a muscular climax of distortion and even some shredding. Tracks like "Hako" feature Speed's warm tenor sound and rounded lines. The short "Ordered Thoughts Ceased" is a slow moving highlight, fraught with tension and hanging together on a bass-line that develops into an extended solo. The closing "Resting on Laurels" is a long tonal exploration that gives Fujiwara a lot of space to fill. Might some of the tunes seem a bit straight ahead for some listeners? Perhaps. But to my ears, the delicate nature of some of these songs cleverly mask the depth and strength of the music. There is a lot to enjoy here, in the compositions, the colors, and the musicianship. Recently I saw Mary Halvorson as part of Ingrid Laubrock’s extraordinary quintet Anti-House and when I talked to another visitor about her performance after the show he said that he likes her much more as a sidewoman than as a leader. Well, I wouldn’t say that – albums like Bending Bridges, Ghost Loop, Sifter or Illusionary Sea belong to the best music which has been released in the last three years. On my last radio show about women in free jazz, host Julia Neupert asked me what it was that is so great about Halvorson that everybody wants to play with her and that even mainstream media have started to become aware of her. To me the answer is relatively simple: She has created a completely unique sound with a high recognition value. It is clear and spikey and she likes to use a Line 6 delay pedal and the whammy bar, which create the typical Halvorson bent note sound. Not many guitarists have such a distinctive style, which is why she is on a level with Bill Frisell, Thurston Moore, and Robert Fripp. But there is more to Halvorson’s sound, it is raw and inventive in a way that eludes the classic categories like jazz or rock. There is a component of friction and angularity to it, almost as if the compositions refuse to be played. It’s a kind of fearless, unheard, puzzling and hybrid sound that you can’t get enough from if you addict yourself to it. 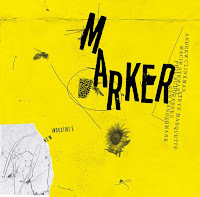 And “Reverse Blue” (with Chris Speed on sax and clarinet, Eivind Opsvik on bass and Tomas Fujiwara on drums) gives you a lot of this sound – but the album also presents Halvorson as a versatile composer. There are a lot of pieces which are structured very differently and lead the listener in unexpected directions - like Torturer’s Reverse Delight, which presents two counter-rotating melodies by sax and guitar before Halvorson joins the staccato bass with distorted rock riffs and before the sax drops out and guitar and drums get completely lost. 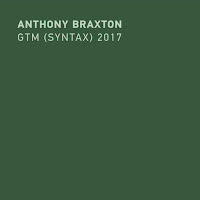 The following title track is a typical Halvorson composition starting from a sax/guitar unison melody, then the two instruments seem to lose track just to begin to dance around each other. There are a lot of highlights on this album like the Arabian influences on Hako, a very introspective and even jazzy tune, or Ego Man, which lives from Fujiwara’s “out in the left field” drumming (in general “Reverse Blue” consists mostly of ballads and mid-tempo numbers). But my favorite one is the spooky closing piece Resting on Laurels, a track based on Halvorson’s crystal clear arpeggios, Speed’s sax that reminds of Waclaw Zimpel’s great moments and Opsvind’s gloomy bowed bass supported by Fujiwara using clappers instead of sticks to build up a huge percussive wall. “Reverse Blue” is really beautiful and varied album, it’s another great achievement of a great instrumentalist and a prolific composer. 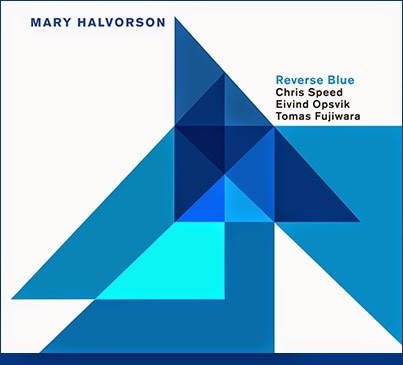 "Reverse Blue" is the debut cd of Mary Halvorson's newest group, with Chris Speed on saxophone and clarinet, Elvind Opsvik on bass, and Tomas Fujiwara on drums. While one can argue that Halvorson is the leader, this is clearly a group collaborative effort. 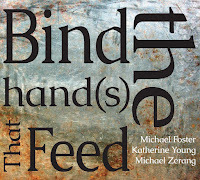 "Torturer's Reverse Delight" begins the album with a Giuffre like interplay between Halvorson and Speed, lightly dancing, springlike, before Halvorson hunkers down, kicks the pedal and unleashes a heavy riff, which the others respond with a more prog rock based dirge, while Halvorson solos frenetically a la Hendrix. Unusual, and a bit uneven in mood, as the track ends with a bit of self indulgent skronk that feels thoughtless, considering what preceded it. 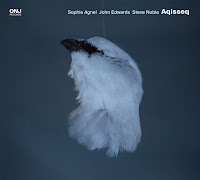 This is followed by the title track, "Reverse Blue," again the main focus on Speed's clarinet playing and Halvorson's plucking, evoking Giuffre and Jim Hall's collaboration from the late 50's, but decidedly more modern, the interplay a little more atonal, the phrasing tightly intertwined, in keeping with both artists' voicings. It is even toned, moderate, not frenetic nor soft, and this mood is maintained through most of the album. "Insomniac's Delight" has Speed leading with the saxophone, lower register, sounding off key but probably not, creating a theme which is later echoed by Halvorson's electric guitar, building to a climax. A highlight on the album. "Rebel's Revue, " another highlight, is a tight, faster paced track that again, emphasizes the intertwining of instruments, combined notes that complement in register. "Hako" is a slow mood piece, Speed's sax caressing notes over a lurking yet soft bass and swirling cymbals, Halvorson's guitar providing counterpoint. 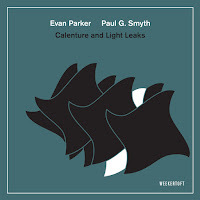 "Old Blue" has clarinet and guitar thoughtfully weaving a difficult theme which spins and turns in different forms -- Speed issuing a seemingly haphazard solo which Halvorson replies, then they combine voices and weave another pattern. "Really OK," the most straight forward track on the album, comes across as a low key Grant Green tune. "Resting On Laurels" concludes the album with almost two minutes of near silence, that builds suddenly into a soft sonic storm of notes, before receding back into silence. The twists and turns of "Reverse Blue" make the album fairly enjoyable, but there is a sameness to many of the tracks, in tone, phrasing and mood, that makes it a little bland. The solos seem constrained and not very imaginative, as if they are pulling from a limited bag of tricks to play. Shouldn't be the case, considering the quality of the musicians involved. A decent debut by this group, who I am sure will be smoking live, but on this recording, there is a restraint and overthinking of process that prevents the album from being wholly enjoyable. Initially, I found myself siding with Stefan on this one. But over time, the shades and nuance have pushed me further towards Martin (past Paul, even!). The shades and nuance of this group are very impressive, and I give a lot of credit to Fujiwara and Opsvik, who are masters of subtle, flowing performance. But Halvorson's compositions here are so different from those for the 5tet/7tet. It's become a near-daily listen for me in a short time. At the same time, it leaves me eager to hear a recording of her new trio, The Out-Louds, with Fujiwara and Ben Goldberg (on clarinet). im pretty sure they are not all her tunes. i know they started off as a cooperative all writing tunes. then mary h took over and kinda made it her band cuz everyone else was busy. ive been looking for the writing credits but i cant find em.